I use it every day. It smells so good. I get more compliments when I wear it more than any other fragrance. this was for my daughter in law, and I loved it! But I don't think my son will want his mom and wife smelling the samE Its a shmae, becuse it sure smells wonderful! She loved it too! Wild is hard to find and so was please with the fact that it was carried. The bottle gave the appearance that it was opened in the past. No celophane covering, down some in the bottle. Got the impression it was previously used as a tester, or opened before so some spilled/evaporated. 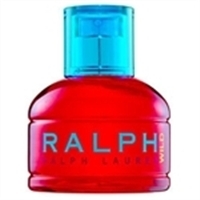 I use the Ralph Wild as a daily, casual scent. It's fresh, fruity, very alert but not too robust. It's the exact touch you need and the aroma catches attention every time. I love it and got it for a GREAT price at [@].